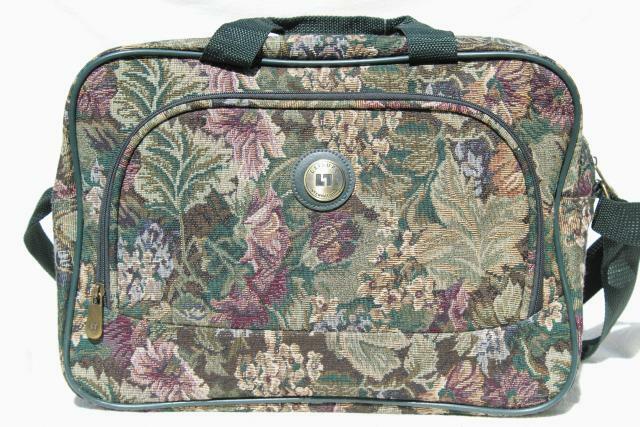 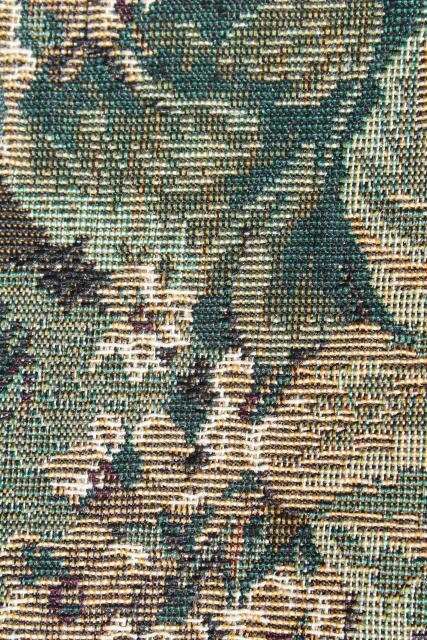 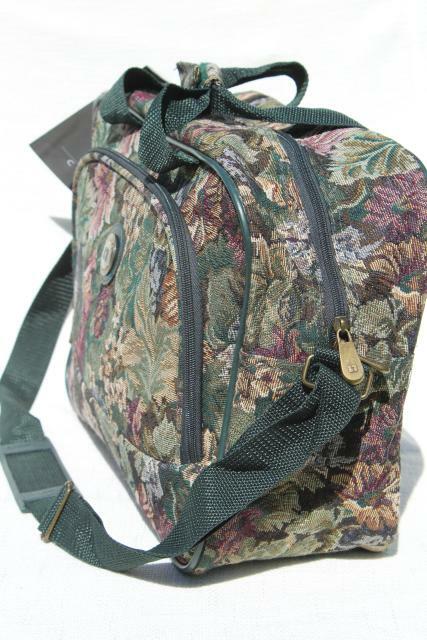 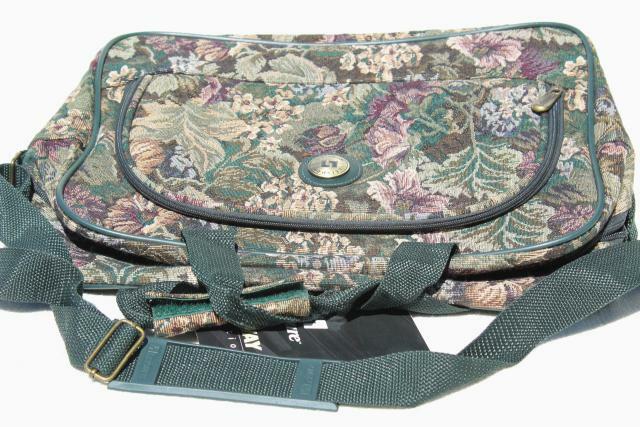 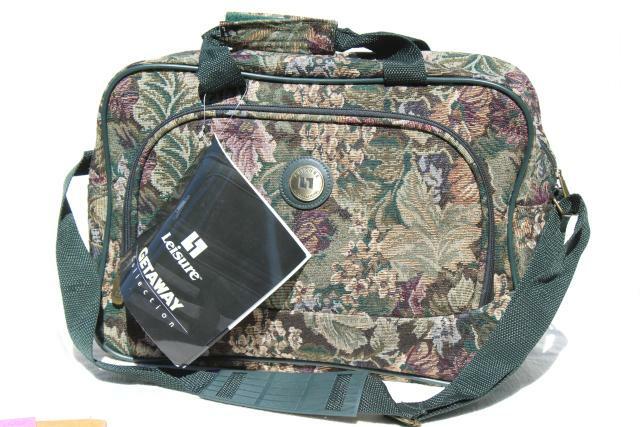 90s Leisure luggage tapestry fabric carry on, overnighter or laptop bag with pretty floral design. 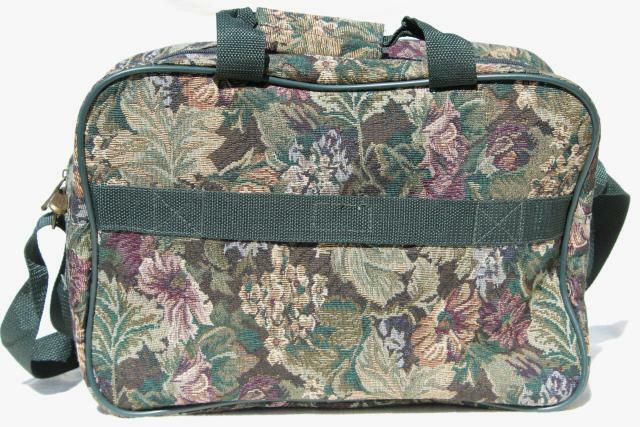 This measures about 16" long x 6 11" wide x 5 3/4" deep, and has handles and adjustable shoulder strap. 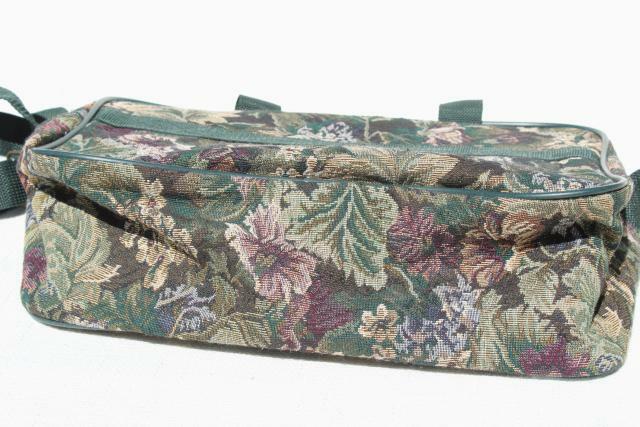 It's never been used (still has the tags as shown). 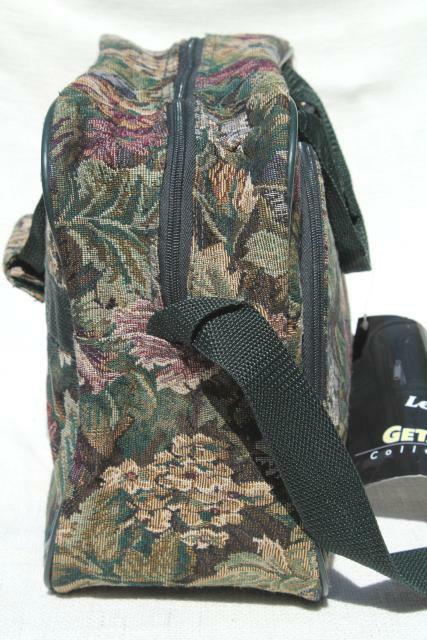 It's in very good condition, clean inside and out.